Christchurch – Actor Tim Earl delivers a stunning performance guaranteed to leave the most stoic of audiences feeling a rise of emotions in his lead role as Christopher in The Curious Incident of the Dog in the Night-Time at the Court Theatre in Christchurch. 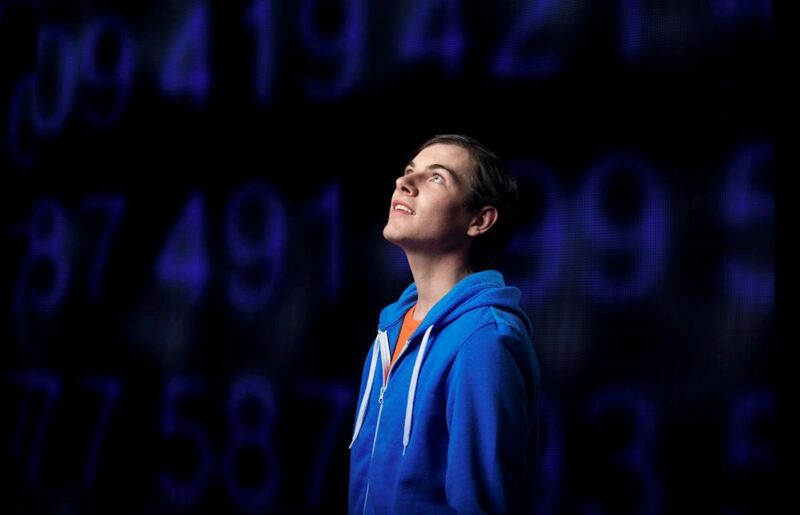 The Curious Incident of the Dog in the Night-Time is a theatrical adaptation of the 2003 book by award-winning UK novelist Mark Haddon and is on show at the Court Theatre until April 22. Christopher Boone is a gifted 15-year-old who lives an intense life where the actions of others often seem weird, unnecessary or confusing. Some would say Christopher is different or strange but Christopher would most likely say everyone else is different or strange. Christopher can recount every prime number up to 7507 and interprets the world around him different than most. He always speaks honestly, thrives on precise methodologies and cannot comprehend the use of metaphors. Life, at times, can be unbearable for Christopher because he cannot cope with heightened emotions or the incomprehensible actions of others. When unable to deal with issues that break outside of his comfort zone, Christopher has intense physical and emotional reactions. Imagine scooping a miniature Christopher into the palm of your hand and placing him inside a computer console where a simple Tetris game is in play. The repetitive retro theme soundtrack is pinging away in the background as Christopher travels methodically along a set of cross-hatched lines facing tiresome challenges. Robotic human carers are sometimes one step ahead, sometimes one step behind as they help to steer Christopher down the correct path, horizontally, vertically or metaphorically as he stumbles and triumphs through a tough chapter in life. The Court Theatre adds a magical dimension to this simple picture with a sophisticated collaboration of music, sound effects, lighting and set design that seamlessly immerses the audience into Christopher’s environment and along with him on a powerful lifechanging journey. It’s obvious that director Lara Macgregor had her dedicated cast rehearse tirelessly as they’ve perfected each fluid transition on stage. Collectively the cast makes a supreme effort to support Earl who has a physically and mentally enduring role, of which he accomplishes flawlessly. Watching this play will mess with your emotions. You will be immersed in the life and mind of a teenager with a special condition. You will feel the frustrations, aching hearts and unconditional love of Christopher’s carers. You may understand Christopher’s reactions, you may find them difficult to comprehend. You may leave sad, contented, angry or uncomfortably numb. Regardless of the emotions this stirs, anyone who watches this show will leave with a deeper understanding of Autism Spectrum and greater respect for how the condition affects many people within our communities. The Curious Incident of the Dog in the Night-Time is on show until April 22, 2017. See the Court Theatre website for more information and booking details. Summary The Court has perfected this masterful and thought-provoking show.